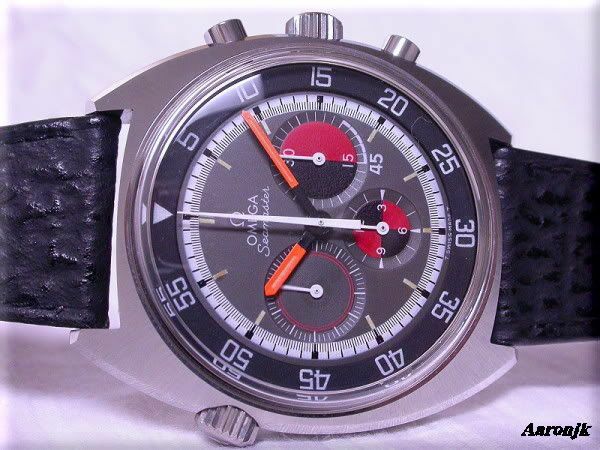 A Seamaster Chronograph with caliber 861 (based on Lemania caliber 1871). I love this model btw, with those colored sub dials. 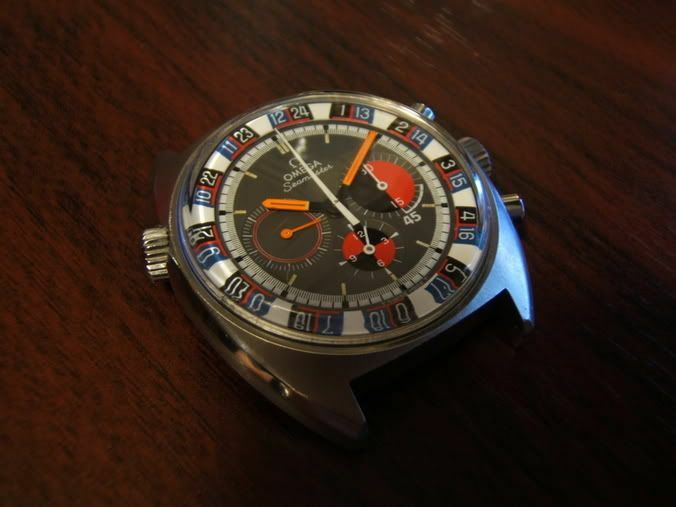 Not long after AaronJK’s original post in the forum, ‘quatre_temps’ posts his version of this vintage 1970 Seamaster Chronograph with ‘roulette wheel’. I had never seen this one before. Very nice! 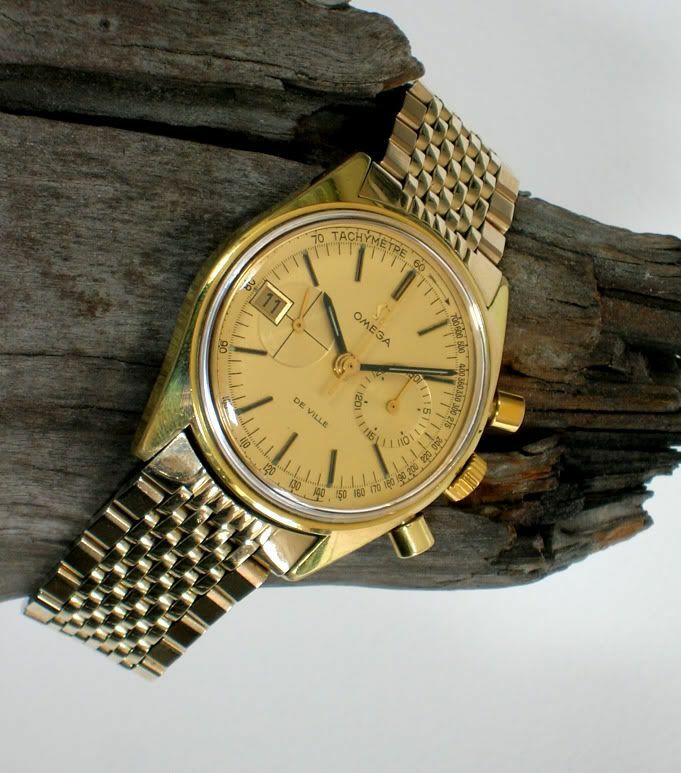 Although it seems that the bracelet and case do not match (case is probably doubl?© or at least not 14Kt gold, and the bracelet probably is 14kt gold), it is a marvelous watch! Although I am not a fan of gold, I would wear this without a doubt. Probably on a nice brown croco leather strap! The best thing ofcourse, is the story behind this watch that makes it so special.